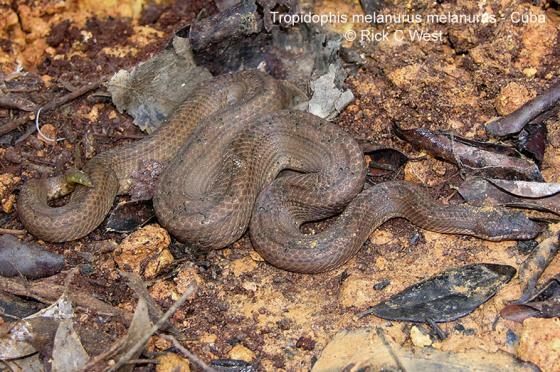 Can you confirm these amateur observations of Tropidophis melanurus? 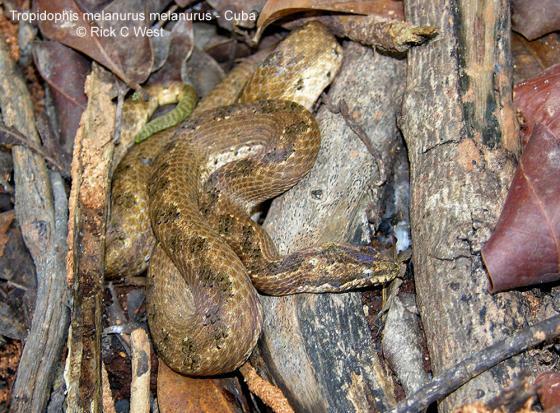 melanurus: throughout Cuba with exception of range of T. m. dysodes. Type locality: Cuba. dysodes: Pinar del Rio Province, Cuba. 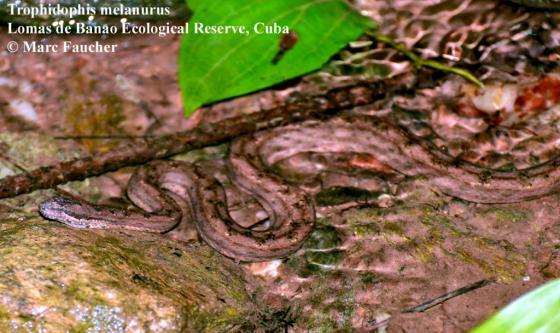 Type locality: 1 km N La Coloma, Pinar del Rio Province, Cuba. ericksoni: Isla de la Juventud.Type locality: Bibijagua, Isla de la Juventud. 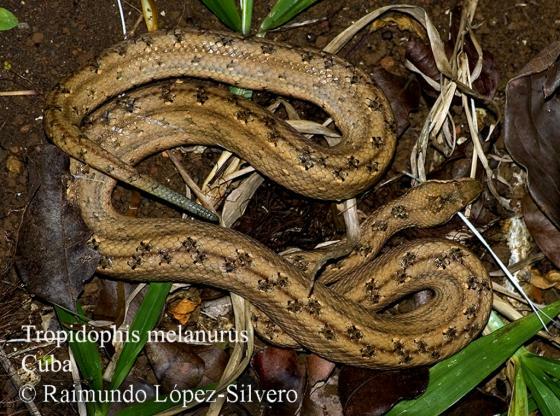 Comment Subspecies: Tropidophis melanurus bucculentus COPE, 1868 has been elevated to full species status. For illustrations see Cooper, 1958; Schwartz and Thomas, 1960; Petzold, 1963; Petzold, 1969; Schwartz and Henderson, 1985. 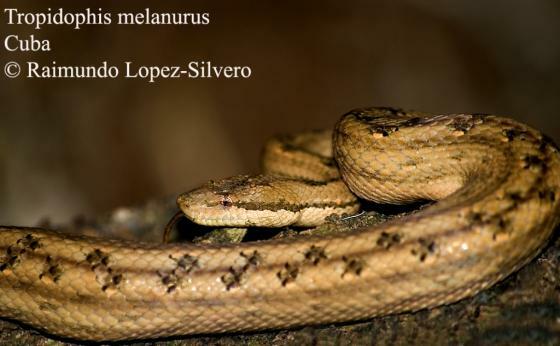 Type species: Boa melanura SCHLEGEL 1837: 399 is the type species of the genus Tropidophis BIBRON 1840. Petzold, H.G. 1963. 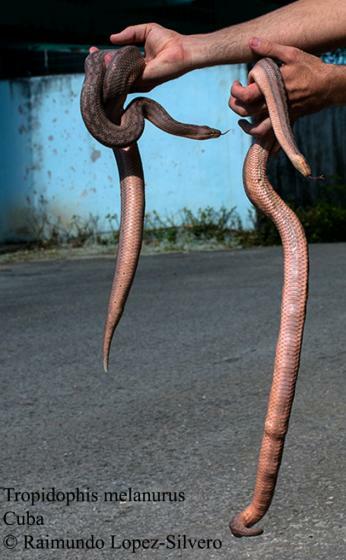 Über die kubanische Zwergboa Tropidophis melanurus (Schlegel), eine selten importierte Schlange. Aquar.- und Terrar.-Zeitschr. (Datz) 16(1):16-20.